There’s lots of reasons the drone industry has experienced a boom in recent years. But one things for sure: drones wouldn’t be as popular if they weren’t sold online. These days, you can watch a couple videos, read some reviews, and you will have a solid idea of what it would be like to fly and own a certain model. Everything you need is right here on the Internet – and unlike brick and mortar stores, you don’t have to drive out of your way only to find out that Mom and Pop are out of stock. Want to find the best drone deals for Amazon Prime Day? Click here! Do we really need to explain this one? 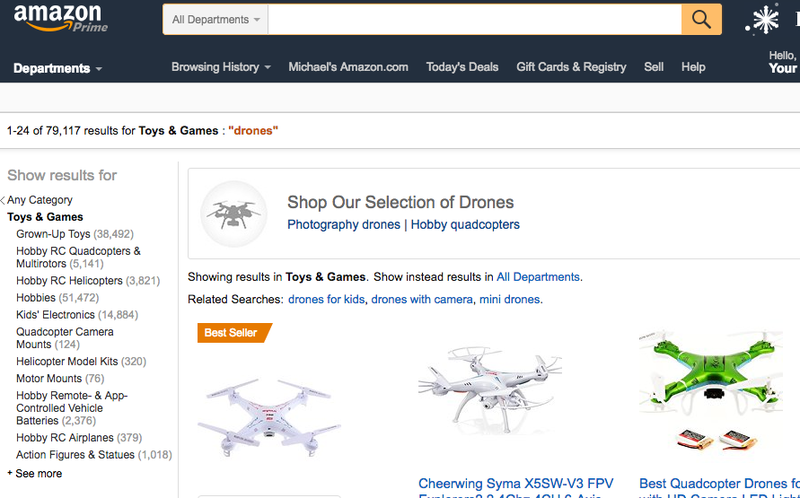 Amazon is the go-to online retailer for a large portion of the drone industry (and also for just about everything else.) You can find almost any drone on the market at competitive prices with reasonably fast delivery times. But what really sets Amazon apart is their fantastic return policy and the overall trustworthiness of their brand. You know that your money and bank information is in good hands and that you can get a full refund if you’re not 100 percent satisfied. Pilots also leave tons of detailed reviews on many of the RC drone models, including pictures and videos of them in use. That makes Amazon a great place to make an educated decision about which drone model(s) to buy. Check out Amazon’s Photography Drones and Hobby Quadcopters. 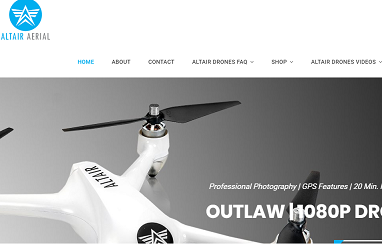 Altair Aerial is a great company out of Lincoln, Nebraska and they sell a variety of beginner and intermediate level recreational drones. You can count on them for amazing quality and customer service. You can find their drones on amazon or at Altairaerial.com. Banggood is an Amazon-esque online retailer. They offer a wide variety of drones, their product pages are nice and detailed, and their customers write helpful reviews. But what distinguishes them from Amazon is that they tend to offer affordable drones that Amazon doesn’t. So if you head to Amazon and can’t find what you’re looking for, try Banggood. You might find cheaper prices there as well. DroneFly offers a beautiful user experience for its customers. Everything is laid out logically, making it easy to navigate the site and find what you’re looking for. They focus heavily on customer service and fast shipping. They ship all over the world, and they offer a DJI Phantom repair service for U.S. customers. DroneFly also offers a 30-minute tech support service if you have any questions regarding your drone. UAV Direct specializes in DJI Phantom sales, and they offer a price match on any DJI item sold by an authorized DJI dealer. They also offer a repair service and customization for Search and Rescue, NDVI, industrial inspection and more. The UAV Direct team is comprised of experienced pilots, so if you have a question about your rig or which one to choose, they will be able to give you an educated answer on what to do. They also actively invest in drone technology research and development to make drones easier to use and more reliable. So if you want to be sure that your money is going to fund a good cause, UAV Direct is an awesome choice. 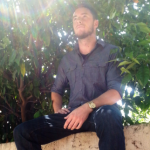 DSLRPros is a favorite dealer of many professional drone pilots. Besides their excellent customer support, they’re well-known for their drone kits that come with everything a pro pilot needs to get expert shots. These kits can come with a top-tier drone model, extra batteries, a carrying case, chargers, propeller guards, extra props, camera filters, SD cards, and more. If you’re looking for an all-in-one package, DSLRPros probably has it. Looking to get started with some drones of your own? Now that you know where to shop, what sort of drones should you buy? Well, the 818 PLUS Hornet is a perennial favorite here at Dronethusiast for those who are just getting started with drones. It’s got lots of beginner friendly features that make it easy to fly, but it has one especially cool feature: it gets 15 minutes of flight time off of a single battery. That’s not bad for any drone, but for something that costs right around $150? 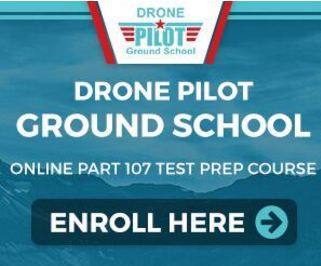 This makes it an excellent choice for anyone interested in learning aerial photography or who just want to have as much time with their drone as possible. The Altair Aerial AA108 is our second choice – a drone that gets more difficult as you get more experienced. It’s easy-to-use, perfect for those just getting started, and it’s a little more durable than the Hornet. The Blackhawk doesn’t come with a camera, and the fact that you have to buy a GoPro Hero 3 or 4 means it’s a little pricey for a starter. But if you already have an action camera, at only $119 it’s one of the best and most affordable options for videographers thanks to its long battery life, impressive range of features, 6-axis gyro for extra stability, and whisper-quiet brushless motors. Check out Dronethusiast’s guides on hundreds of drones, including the best indoor drone 2019 to find one that will fit you best. Even if drones aren’t your thing, our site has some great information on other hobby toys such as the best remote control cars for you to try. So now you know some great drones and some great places to shop for them. But hey, don’t take our word for it. Let us know where you shop for drones in the comments below. Can anyone give me any advice about the E Drone site and purchasing from them? Hi, so I also have some questions… there site looks more than legit and they have good methods of pay. However I ordered a drone from them just over a month ago (shipping time being 1-2 months) and they never sent me my tracking number. They say they send the tracking numbers after around 10 days. I am going to wait until it’s been two months to see maybe they just forgot. I will try and remember to reply to this again if it comes in or not. I can also comment on the quality to make sure it’s all legit.